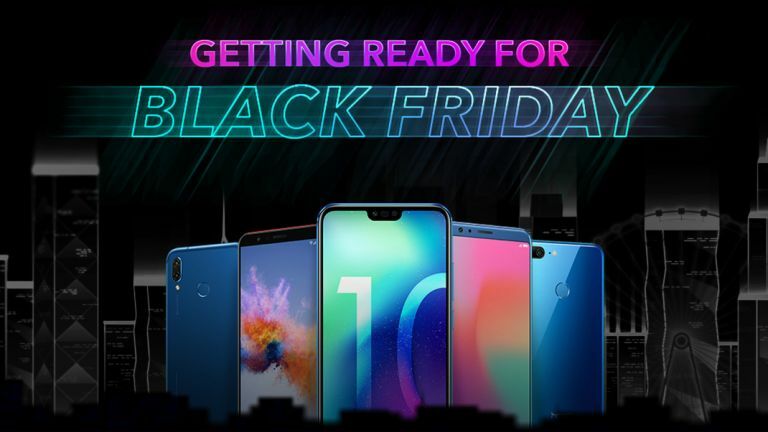 Honor has slashed prices across the board ahead of Black Friday next week, including a bumper £100 discount to the Honor 10. These pre-Black Friday deals will be available across a number of online and high street stores from today through to Christmas Eve, December 24, 2018. Up first, the Honor 10, which scored a full five stars in T3's Honor 10 review, drops from £399.99 to £299.99 – the biggest single saving across the Black Friday discounts. This handset, which launched back in May, is powered by the fearsome Kirin 970 chipset paired with 4GB of RAM. It boasts a 5.84-inch HD+ display as well as 64GB of inbuilt storage and a 3,400mAh battery. Specs aside, it also has a stunningly beautiful shimmering back, like the Huawei P20 Pro. Another smartphone that's worth highlighting in the Honor Black Friday bonanza is the Honor 7X, which drops from £229.99 to £169.99. Fast approaching its first birthday, the Honor 7X is still a solid smartphone with an almost edge-to-edge 5.93-inch display with a 407 pixel-per-inch resolution. There's also dual rear cameras with a 16-megapixel lens for rich colours and a 2-megapixel depth sensing lens for those shallow depth of field shots that give you a professional looking background blur. Finally, the Honor 9 Lite has also seen a reasonable £40 price drop down to £130. Known for its front- and rear-facing dual-camera systems, the Honor 9 Lite also boasts a sizeable 5.65-inch LCD display with a Full HD+ resolution. There's also a Kirin 659 processor coupled with 3GB of RAM, at least 32GB of storage, and a 3,000mAh battery for all-day battery life. Honor-branded handsets are not exactly known for their hefty price tags, but these discounts are a welcome surprise ahead of the Black Friday sales next week. As previously mentioned, Honor will keep its deals available until December 24, 2018.